Now available at Amazon for Kindle. Luxurious trade paperback also. … a fast-paced science fiction thriller which pits college students against the powers-that-be in a realistic near-future. The dialog and characters are well-developed, believable, and the author seems to capture the mind-set and vernacular of the intellectual college students who tend to rebel against the status-quo. Some of the story had me ‘on the edge of my seat’ so to speak wondering if the college rebels were going to succeed. The novel also gives one much to think about concerning government power, educational systems, capitalism, and the limits of social equality. I heard echoes of Robert Heinlein here (which made sense in reading the author’s end-notes ‘Quotes from the Golden Age of Science Fiction’.) The only disappointment for me was I now have to wait for book 2 to see how the conflict proceeds. …took a moment to get going, but became one the most engaging reads I’ve encountered in months. I’m looking forward to the rest of the series. BEN RAMIREZ leads the Students for Liberty, a student civil liberties organization, and believes in the Constitution. 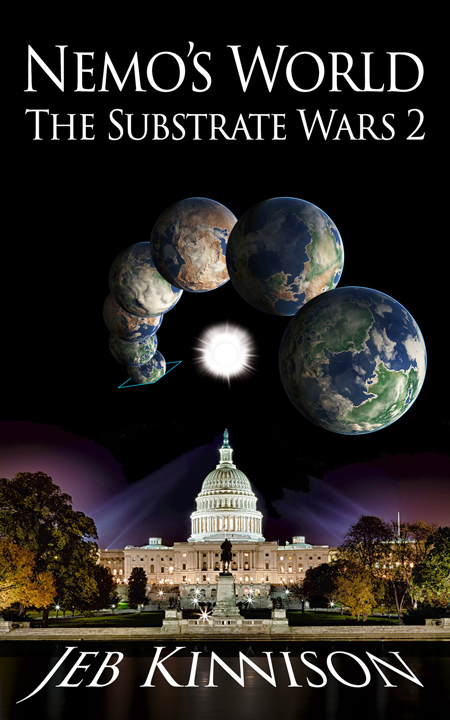 This is Book 1 of the Substrate Wars series. The story starts on a California college campus just a decade from now. The world is post-terrorist disaster: repressive and censored, governed like China is today but with a stagnant economy and no jobs for young people. The students are cowed but not unaware, and they seize an opportunity when the government’s actions start to hit home even in academia. When they discover a new technology that could either free mankind or be the ultimate weapon for governments to control their citizens, they must decide what to do. Homeland Security and the Chinese government are one step behind; spies and traitors lurk in unexpected places. Who will determine how to use this great technology—free citizens or governmental bureaucrats? 5 STARS, RECOMMENDED. 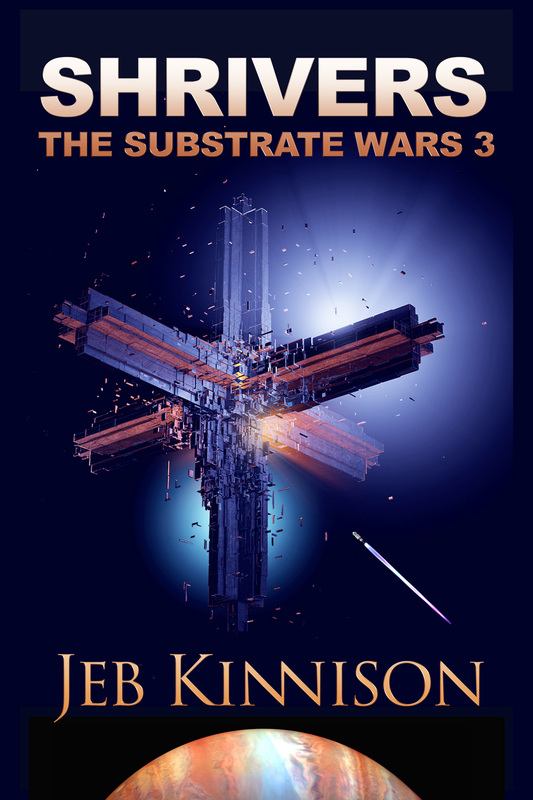 NEMO’S WORLD is the second installment in Jeb Kinnison’s The Substrate Wars series. The action takes place in the near future where the United States has become a one-party oligarchy opposed by a group of rebel scientists and humanity is poised to destroy itself in the name of “security.” Fortunately, a group of idealistic scientists and engineers use their intelligence to address the damage and offer a true taste of freedom to humanity. Nemo’s World: The Substrate Wars 2 is currently available for Kindle, and now in trade paperback here. 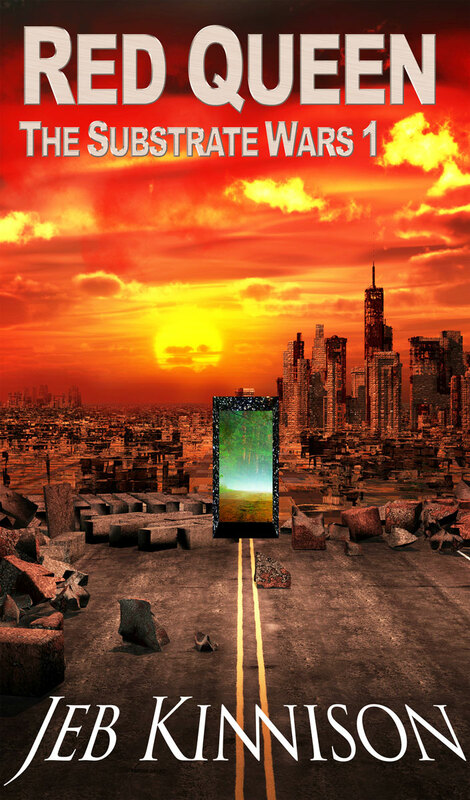 In this third book of the Substrate Wars series, ten years have passed since the student rebels invented quantum gateways and tamed the world’s governments. Replicators have ended hunger and need, and colony planets have allowed everyone who wanted independence to settle new worlds. This peace and prosperity is threatened when scientists discover evidence that other civilizations have been destroyed by the planet-scouring Shrivers, who intercept an Earth probe and discover Earth’s location in its memory. The rebels and Earth governments have to cooperate to build a defense force to stop the invading Shriver fleet. Meanwhile, Justin’s daughter Katherine (Kat) has been contacted by the First, the uploaded civilizations that inhabit the substrate as a virtual realm. She is chosen to argue humanity’s case in front of the tribunal which will decide whether humanity will be allowed to upload with the First, or be exterminated by the Shrivers. Shrivers: The Substrate Wars 3. Netgalley Proof for reviewers with NetGalley access. My other books, Bad Boyfriends and Avoidant. The Rationalists: Less Wrong. A very smart and diverse group of scientific humanists. The essay that gave me the name for the Grey Tribe: “I Can Tolerate Anything Except the Outgroup.” Scott Alexander writes insightful pieces on science and politics, and the divisive tribalism that is splitting men from women and red states from blue states. Read his blog, SlateStarCodex. What a somewhat larger terrorist attack on Manhattan with a nuclear bomb might look like: “New York City Scenario.” Chilling. Prof. Wilson’s Starspark poster episode is based on the real-life Firefly poster episode at the University of Wisconsin-Stout. A good recap of FIRE’s assistance in that case. FIRE (The Foundation for Individual Rights in Education) has been fighting for campus freedom of speech and thought for many years. If you’re a student and have a problem with an administration that tries to stifle speech or too easily accedes to the demands of Social Justice Warriors to limit debate on important issues, they’re the people to talk to. “Libertarians vs. Progressives: The New Campus Divide.” Essay on the division between leave-us-be libertarians (classical liberals) and progressive authoritarians on campus. And it so happens that my fictional Students for Liberty is mirrored in real life. Join while it’s still legal! Reason.com is the online presence of Reason magazine, the magazine of “free minds and free markets,” presenting news and essays free of the talking points of political parties. They’re not even sure they agree with libertarians! Call them classical liberals…. In the conventional wisdom that you’ve likely been taught, the Great Depression was the result of unfettered capitalism, and Republican President Herbert Hoover was a callous villain who did nothing while the jobless starved. Franklin Delano Roosevelt (FDR) was elected in a landslide and got the country moving again with fresh new ideas and economic programs. This narrative was written into history books and popular culture. Too bad it’s not true. Nuclear Weapons: The Unkicked Addiction from The Economist. Why I’m a Public-School Teacher but a Private-School Parent by Michael Godsey. Lure of the Caliphate by Malise Ruthven. Politics and the English Language by George Orwell (1946). What’s Next in Government Surveillance by Bruce Schneier.